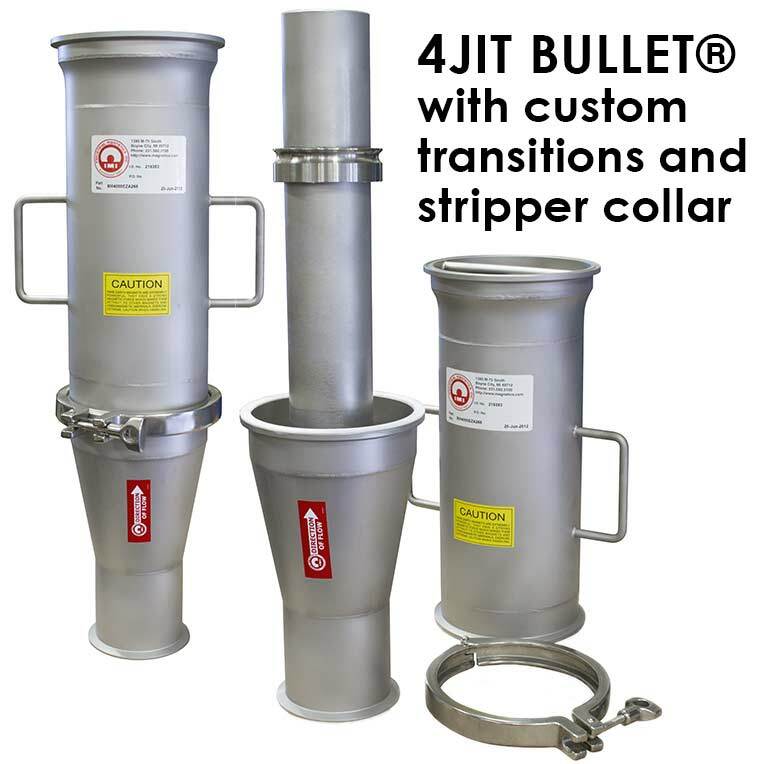 The 4JIT Bullet® is Aerodynamically shaped with a solid stainless steel nose cone diverter, the flow-thru design maintains uniform velocity in-line flow, allowing it to be used anywhere in the pneumatic system. It is ideal for dilute phase pneumatic systems, typical applications include processing of dry, powder and granular materials. It can be used ahead of processing equipment to protect machinery from tramp metal damage and at bulk load out zones to ensure product purity. Captured metal is cleaned by removing the clamp, to separate the two halves, allowing the operator to wipe the metal off the magnet with a gloved hand or shop rag. An EZ-Clean Stripper Collar option allows for fast removal of collected tramp metal.